The ISS-7000 v2 Internet Subscriber Server is the high-performance gateway for public access and the best solution for hospitality guest access. Internet service requirement become one of base service in the categories. ISS-7000 v2 supports 300 concurrent logins by default, and up to 1000 via license upgrade. For the secure guest access, Handlink’ patented instant dynamic accounts generator makes the advanced security for guests accessing in public networks. The ISS-7000 v2 offers bandwidth management for free / paid Hotspot service. It allows service providers or system integrators to set up different Internet service quality with each billing profile. Its advanced billing functions can manage guest accounts, block unauthorized access, and generate revenue with Internet services. With its IP plug and play technology, it accepts any client configuration for log-on. There’s no need for users to change any their default network, e-mail or browser setting or load any special software to access hotspot service. It’s completely IP plug and play with any browser. The ISS-7000 v2 Internet Subscriber Server is designed for Carrier-grade Hotspot solution to enhance service performance, increase business exposure and cooperative business operation. The application simplifies the setup, AAA control, security and comprehensive management of Internet access by Integrating Hotel PMS System, switch or access point. Handlink solution provides the user friendly Wi-Fi roaming process to enhance guests and venues owners choosing our service. Guests / venues owners access roaming charging and advertising promotion posting service would generate revenue and return investment for public Wi-Fi network. According to the law, it requires venue owners to provide the guest’s Internet usage records for tracking. Thus the ISS-7000 v2 provides a real-time session information and the remote site administrator could monitor the real time usage status via session information page. ISS-7000 v2 supports up to 10 billing profiles (pre-paid). It can be customized with varying bandwidth speeds, service duration, and level of payment. Credit card billing is also available . Add wireless and wired Internet connections for your Wi-Fi access point, CMS, office PCs, IPTV, laptop and handheld devices needs in the hotel. Support network access control service including Authentication, Authorization and Accounting (AAA) for Internet subscribers and 10 billing profiles. Connect your office PC, IPTV, laptop and handheld devices to the network. It will automatically configure itself for the network. Run your VPN or Secure tunneling client software to connect to your company’s VPN server. Support the major brand PMS system (Micros Fidelio, West Soft) and Proprietary PMS system to enable your Hotel to perform in-room internet billing. Redirects the user’s browser to the hotel’s homepage and allow service providers advertising the local businesses and promotions. It also can be granted free access for unauthenticated users through “walled garden” links setting. Integrated Social Media with your business! Market your business with social power! CoolbeeWiFi®is social marketing platform that allows you to build your business through social marketing with small marketing budgets. Customers of yours access free Internet via Facebook login from your fan page so you can promote your own Facebook Page and earn a new “LIKEs” or post a recommendation on your customer's Facebook. This increases your business' visibility, customer engagement and sales. Save time and Grow business! Through CoolbeeWiFi® cloud server your social media platforms can be centralized and easily managed. With Social Login to grow your fans, you can instantly increase customer loyalty and capture social data for intelligent ad retargeting via our marketing tools. Simply management procedures effectively improve marketing efficiency! CoolbeeWiFi® integrate Online Survey while users access free WiFi, it's a great way to get some feedback from your customers. The survey tool is quite easy to use! and come with analysis report. Save the Internet Service Effort! 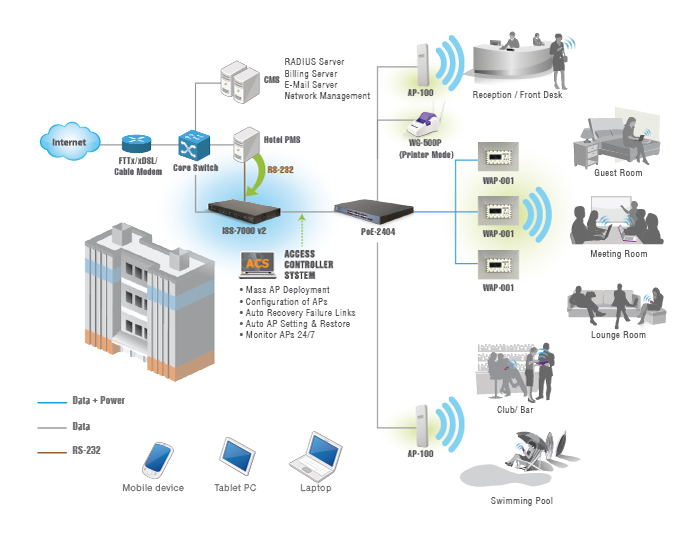 Through Access Controller System IT staffs can do mass APs Installation and Management. It saves the service effort that IT staff deploys the WAP-001 in different rooms, sets up different IP addresses, ESSID and manages each room’s WAP-001 device at the same time. They can remotely add, set up and delete WAP-001 using the access controller software. 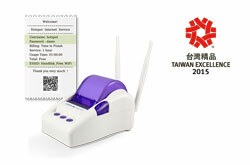 It is the best instant hotspot gateway solution ! It allows the service providers to generate a billing and system summary with a single click. 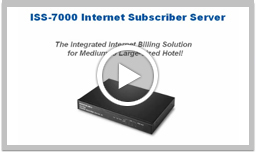 ISS-7000 v2 Internet Subscriber Server, Powerful Solution for Building Internet Billing Service in the Medium to Large-sized Hotel!